<< Back Black GPO 328L with drawer. Black GPO 328L with drawer. This is a wonderful example of a GPO 328L with drawer. It has been stripped down and rebuilt after each part has been cleaned and polished. 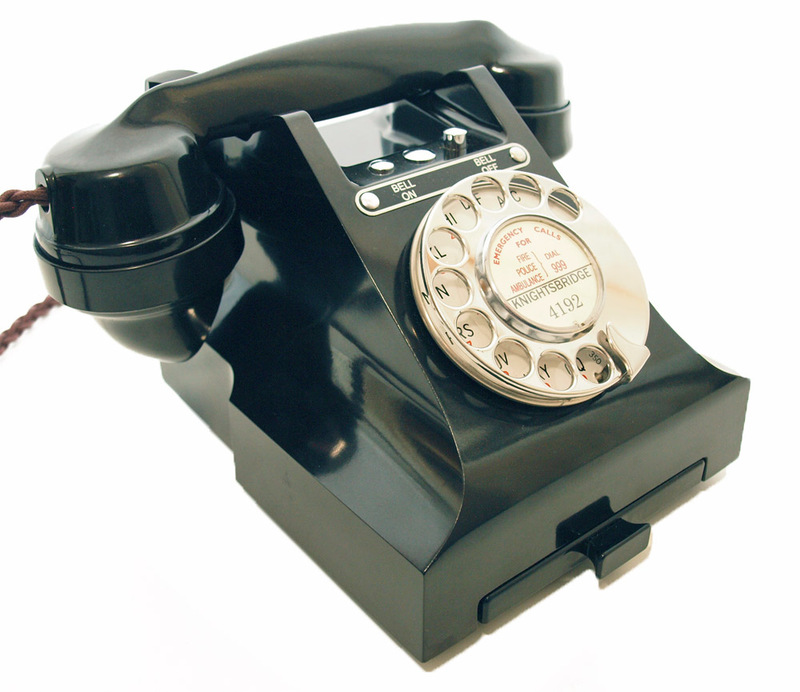 it has a genuine GPO No10 dial and retains the early sleeved plungers under the handset. 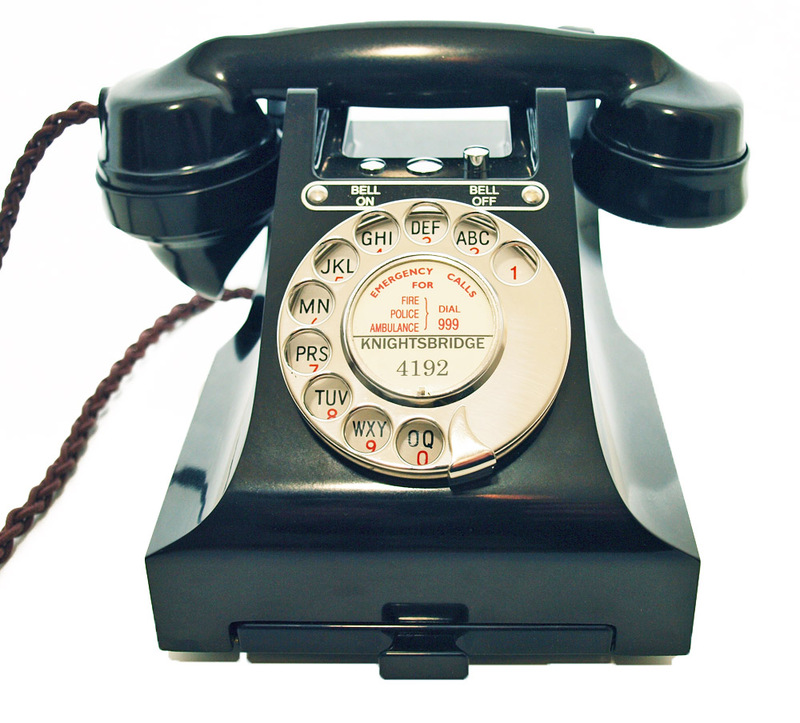 It is fitted with a best quality hand plaited British manufactured braided handset cord, a GPO specification round plastic line in with a UK telephone plug socket and a best quality electronic microphone to bring the speech quality up to modern standards. This telephone has been fully tested on a special line simulator and then on my own BT line to make sure it is working perfectly. the dial has been set up to work perfectly on on both BT and cable lines. 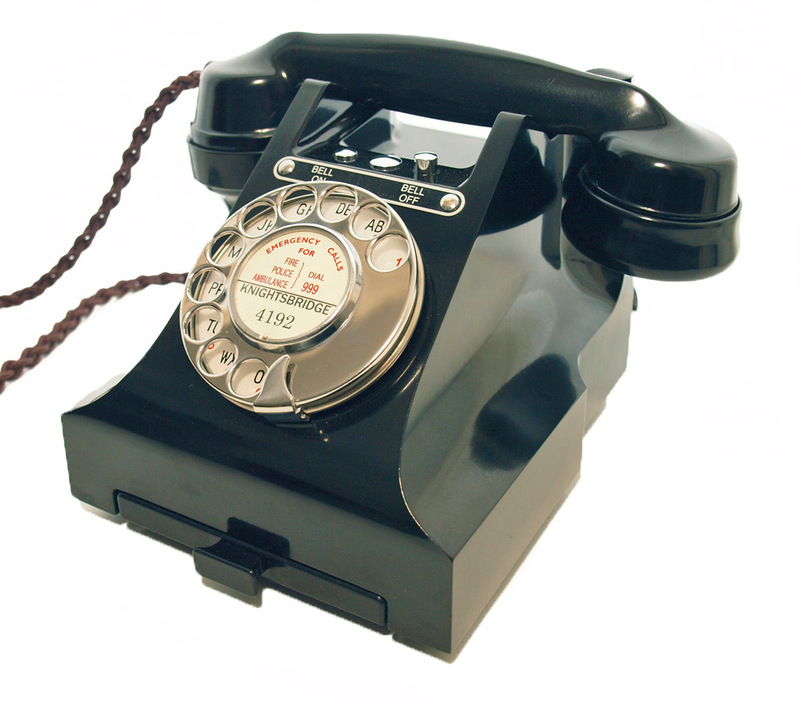 As you can see this is a genuine GPO telephone in perfect working order and restored to very high standard. The bell on bell of mechanism is all genuine and the contacts have been cleaned to enable perfect working operation. 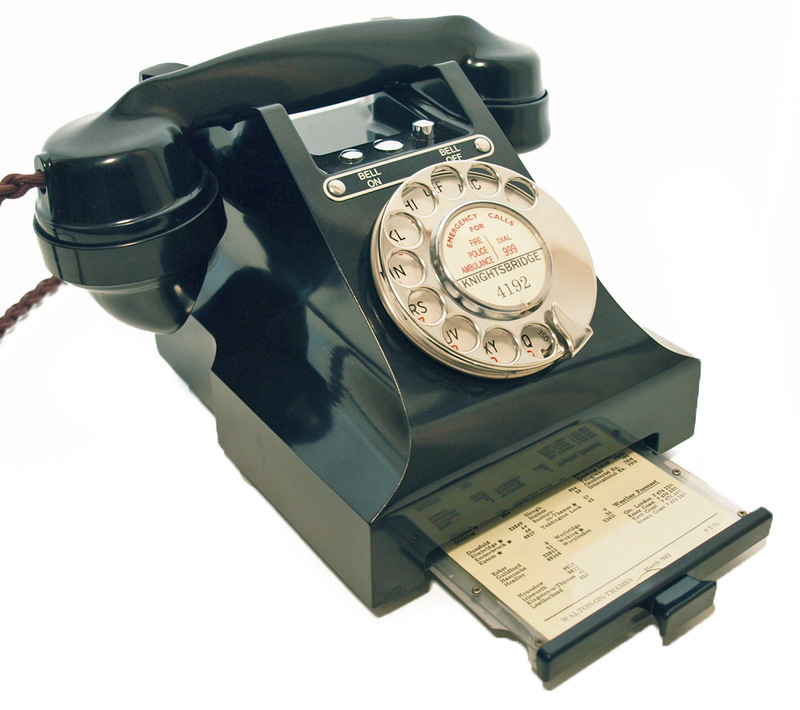 The handset is marked 1945. I can make a dial label with your information at no extra charge.